How long will it take for man to walk by foot from Canada to Mexico? The distance is approximately 2500 miles, if he were to walk straight. Covering 30 miles a day without rest, he needs close to three months to complete his journey. This is a practical impossibility, for, man cannot walk continuously barefooted and without sleep and rest. If he were to fly in a balloon, say from Ottawa, Canada to Mexico City, the unpredictable northerly winds may force his balloon drift not towards Mexico, but towards Greenland! For a Monarch Butterfly, flying from Canada to Mexico or back, is like moving from one plant to another. The Monarch has fascinated man from times immemorial for its tenacity and energy to fly long distances. Let us get back to man. We will put him on a convenient road for the journey. He needs to walk through three nations, Canada, USA and Mexico. There are forests, mountain ranges, plains, lakes, rivers, lowlands, terrains of all kinds such as rocky, sandy, clayee and so on. He needs trekking shoes, comfortable clothing, warm cloth, rain coat, besides day pack, flash light, binoculars, camera, personal medicines, first aid kit, fresh food supplies and water from time to time, a tent to sleep at nights and a transport system to carry all this stuff behind him. This is not all; he needs maps, charts and also a boating gear to cross water bodies across his path. He may also require special Geographic Information System to guide him through his walk. The Monarch on the other hand does not require all this. Nature has provided the insect with all the built- in- equipment. It begins its journey from Canada late August and reaches Central Mexico in Oyamel forests by the end of December. Its return journey begins next year in February and it reaches Canada by June. The journey up and down is perilous with storms, predators and accidents. The Monarch may suffer losses in its population, but its urge to complete the journey outlasts all the setbacks. It takes three generations to negotiate a single journey, which means 6 generations of Monarch are involved in the up and down journeys. 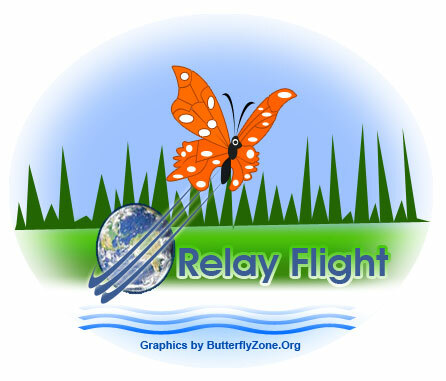 In other words it is a relay flight! Why do these butterflies undertake such long migrations? That is a different question. But the point is, we have a lot to learn from them. How to be simple, yet remain tough!